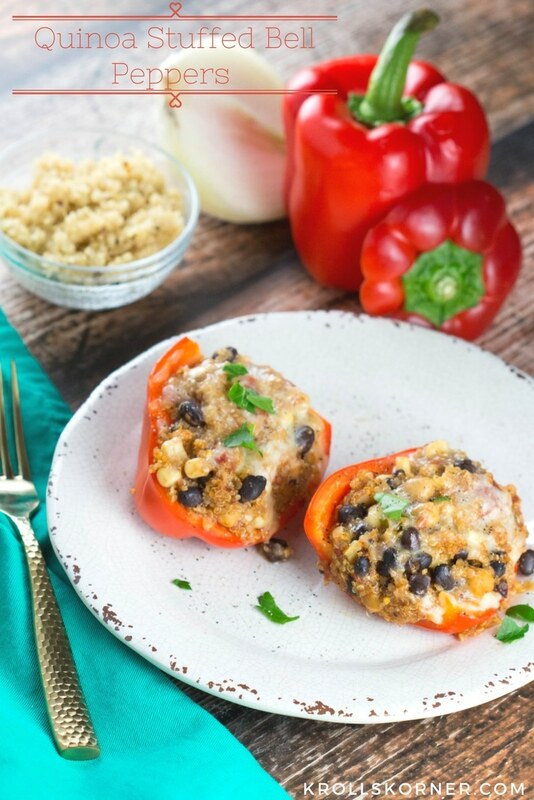 Quinoa Stuffed Bell Peppers are a great way to add more plant based proteins in your diet! 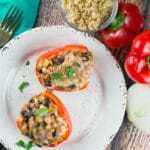 Quinoa Stuffed Bell Peppers are a healthy and delicious way to eat more veggies and plant based proteins! I hope everyone had a nice & relaxing weekend! Mine was filled with cooking, baking, yoga and cycling. Sounds boring but I had fun 🙂 These quinoa stuffed bells came in handy when I was in a dinner crunch last week and they hit the spot. Filled with protein and fiber and super flavorful. I loved them and know you will too! I made my own taco seasoning because the store bought packets can be very high in sodium. Plus, making anything homemade is more fun and satisfying I think. I hope you like this recipe as much as I did! 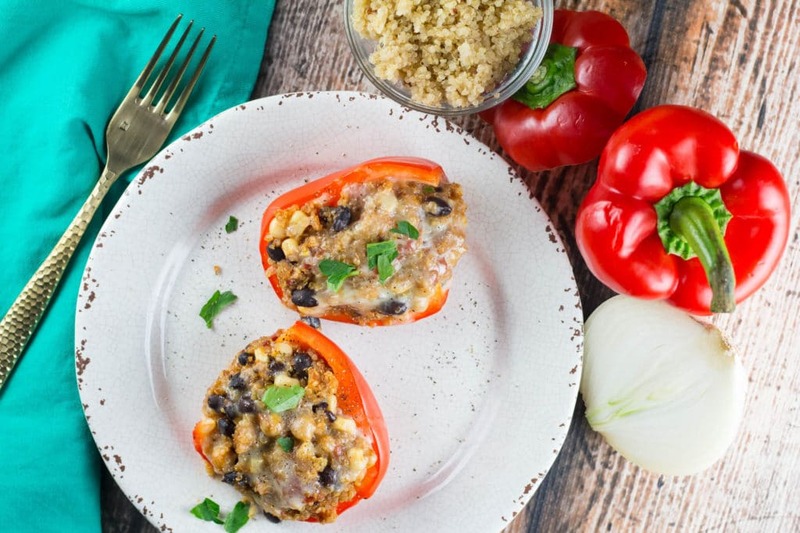 These Quinoa Stuffed Bell Peppers are great for meal prepping. What are some of your favorite weeknight cooking hacks? I’d love to hear in the comments below! Easy weeknight dinner that makes eating veggies fun! Omgee, I love stuffed peppers. I never thought of using quinoa. Brilliant I love it! Hi Tawnie! Just came across your blog and this recipe which I am looking forward to trying for a change from my usual stuffed peppers. Two questions for you: 1. do I measure out 2 cups of quinoa and then cook that amount? Or do I use 2 cups of quinoa that has been cooked? 2. If I make your homemade taco seasoning do I use the entire amount in the recipe? Thanks for your help! It’s 2 cups quinoa that is already cooked, so 1 cup dry will yield 2 cups. Yes – the whole recipe for homemade seasoning:) Enjoy!